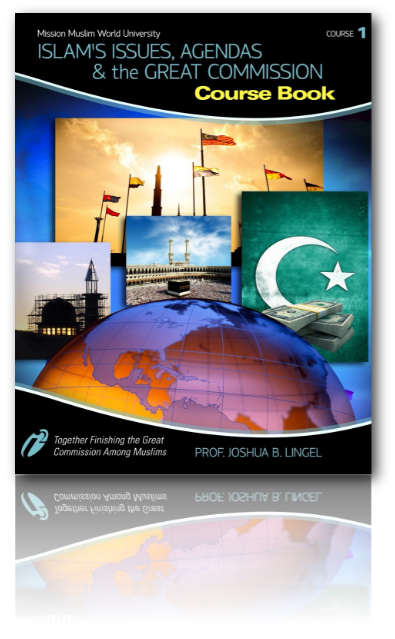 Let Ishmael Sing...: An Eternal Qur'an? "Many Muslims don’t know the story of Zaid ibn Thabit or its significance. Memorize the essential outline and tell it in three minutes or less. Develop questions to accompany your telling of the story that will help a Muslim see the problems with the manuscript." “By Allah, if Abu Bakr had ordered me to shift a mountain among the mountains from one place to another it would not have been heavier for me than this ordering me to collect the Qur’an.” (Buhkari 9:89:301). Zaid collected fragments from bones, leaves, parchments, papers, skins, mats, stones, bark and the memories of Muhammad’s companions. Is it possible to know if Zaid was able to find all the ayas ever given? We must remember that 700 of the reciters of the Qur’an had already been killed and there were some verses Zaid found with only one person, including one he found after the text had already been copied and sent out. Zaid’s manuscript was given to Hafsah, one of Muhammad’s wives. But 15 different codices of the Qur’an existed between 635-650 A.D. Some of Muhammad’s companions, including some of the men Muhammad had instructed his other followers to learn the Qur’an from, had written their own manuscripts and refused to replace them with Zaid’s. One must ask why Zaid was appointed to compile the Qur’an when there were other men who were close companions of Muhammad who Muhammad considered authorities on the Qur’an, like Ubay ibn Ka’b (whose manuscript became standard in Syria) and Ibn Mas’ud (whose manuscript became standard in Iraq). In fact, Zaid had not yet been born when Mas’ud had recited 70 suras by heart before Muhammad. Regardless of the reason for Zaid’s appointment, it became clear that these other men had written their own manuscripts, and these manuscripts were being used by different groups. To further complicate things, no two of these codices were exactly the same. There were thousands of variations among them. So once again something had to be done. Uthman, the third Caliph, sought to standardize the Qur’an and impose one text upon the whole Muslim community. Though Zaid’s codex was with Hafsah, Uthman called for a second collection, again written by Zaid. Why rewrite something that was perfect? Uthman then ordered all other manuscripts be burned. We must conclude the other manuscripts were destroyed to hide these discrepancies. Their destruction makes it impossible to prove what we have today is what was revealed to Muhammad. It is said this second collection was written in the Qurayshi dialect of Arabic. This is a problem because dialects mean different vowels. And there were no vowel markings in Arabic at the time of Zaid. Vowels were not introduced until the late 8th century. Furthermore, where is the original manuscript? The manuscripts we have are not old enough, are not complete, and are full of variants. There is no complete manuscript until the 10th century. “Let no one of you say that he has acquired the entire Qur’an, for how does he know that it is all? Much of the Qur’an has been lost, thus let him say, ‘I have acquired of it what is available’” (As-Suyuti, Itqan, part 3, page 72). Taking all of this into consideration, how can one claim the Qur’an we have today is an exact copy of what has existed eternally in heaven?